Kevin M. Phillips is president and CEO of ManTech. He leads a global team of nearly 8,000 employees who are committed to advancing technologies that solve some of the nation’s most challenging problems. Mr. Phillips brings a record of success to delivering results for defense, intelligence and federal civilian agencies that rely on ManTech for cyber solutions, critical data, systems engineering and software, and enterprise IT solutions tailored to support their missions. Mr. Phillips was appointed CEO of ManTech on Jan. 1, 2018, after serving as president and COO since 2016. He also served as chief financial officer from 2005 to 2016 and has been corporate vice president and assistant to the chairman and chief of staff. He joined the company in 2002 through ManTech’s acquisition of CTX Corporation. Today Mr. Phillips is widely credited with the strategic vision behind ManTech’s strong organic growth, strategic acquisitions and recognition as a leader in the digital domain. Mr. Phillips is a graduate of William & Mary with a degree in business administration and a member of the Board of Trustees of the William & Mary Foundation. He is a member of the Northern Virginia Technology Council’s Board of Directors. He spent 10 years in the U.S. Army Reserves. 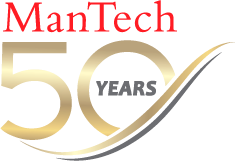 ManTech is committed to being the nation’s No. 1 employer of veterans.